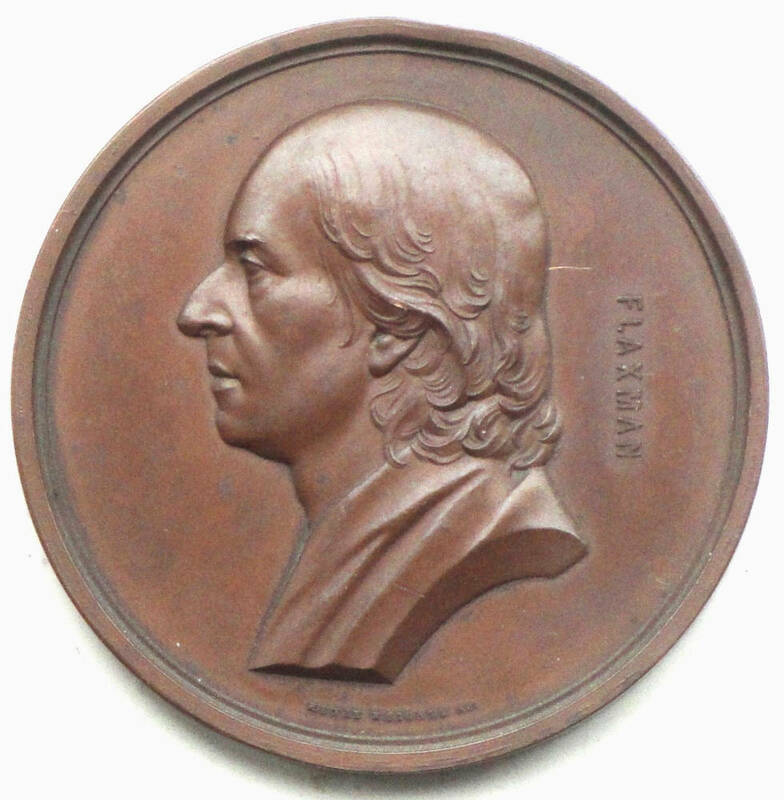 John Flaxman. Henry Weigall. 1889. Bronze, 50 mm. in diameter. Private UK collection. Click on images to enlarge them. 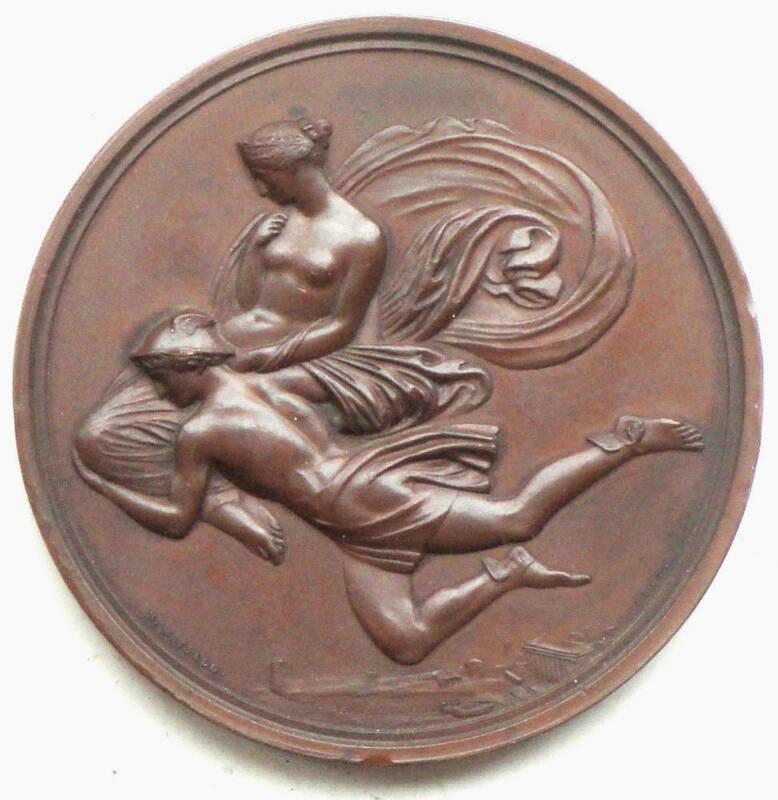 John Flaxman on the Art Union of London Commemorative Platter.